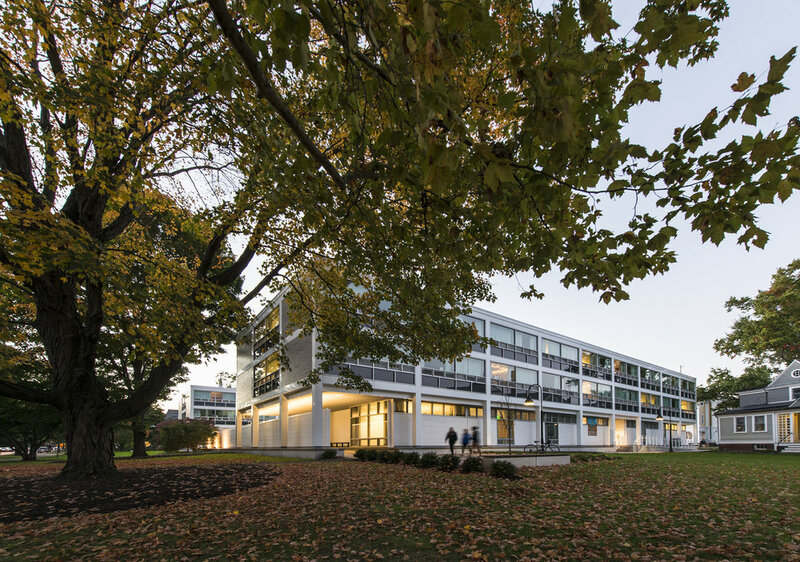 The renovation of an architecturally significant modernist building within Smith College’s historic Campus is associated with the redesign of its landscape. By providing new social spaces and a reworked building entry sequence, the landscape bridges a gap between the modern legacy of the 1957, SOM buildings and the original Olmsted designed campus. A central courtyard between the two “houses” offers a series of smaller planted areas, terraces, and “hang out” spaces that extend the indoor programs outward. Connecting the two houses is a dining area that will serve the larger campus with associated outdoor dining. In order to increase green space around the Cutter and Ziskind houses, the parking and building access of the surrounding landscape are reworked within the campus plan and along the main street of Northampton, MA. The tree and plant palette is selected through working with Smith’s Botanic Garden staff to renew the building’s place within the campus Arboretum. 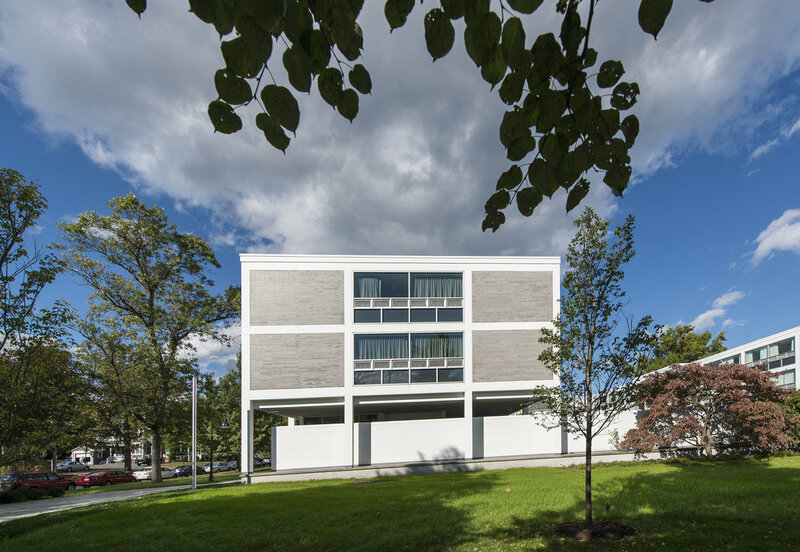 Redefining the Cutter and Ziskind landscape provides Smith College with a contemporary identity that continues to relate to its former modernist and traditional histories.